I put the first seeds of the new garden season in the soil this morning. Most of these are going to be for my class on “Grow Your Own Salad” at the Grow Good Food Workshop in a couple weeks, but the two rows of labeled lettuces will be for the Demo Garden. 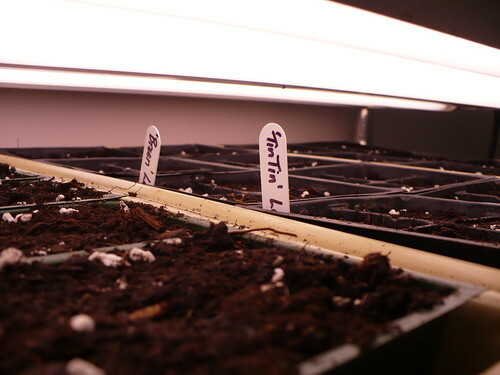 Posted on March 7, 2013, in Around the Garden and tagged gardening, indoor seed starting, lettuce, planting seeds, seed starting, seeds. Bookmark the permalink. Leave a comment.